Growlers (2L / 64 oz.) and Grunts (1L / 32 oz.) are available for purchase, fills, and refills. Growlers and grunts are a one time cost of $6.50. They are yours to bring back for fills at the prices above. A Pacific Northwest style English Bitter. 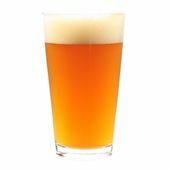 Centennial hops give this beer a citrusy - grapefruit flavour. Thirst quenching refreshment. 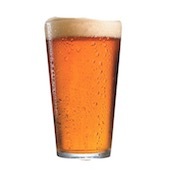 Originally a British Ale, this version uses Canadian grain and hops. Dark nut brown in color but clear all the way through. Mild and not overly hopped. Caramel and some chocolate undertones. A taste of honey and orange with slight banana makes this a nice summer session beer. Best served cold in a glass. Try it with a wedge of orange (or lemon if you prefer traditional). 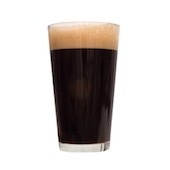 This Baltic style Porter has a big, malty aroma with chocolate notes. There is a deep sweetness to it alongside a light fruitiness. 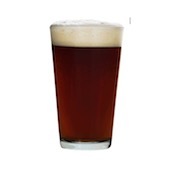 It has a very deep brown colour with reddish hues which give it a nice clarity, and is topped off with a nice lasting tan head. Sure to warm you up on the coldest of days - or nights. 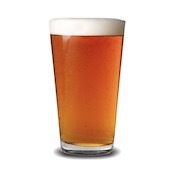 A trio of hops - Cascade, Magnum, and Centennial - give this micro-brewery favourite the 'bite' dedicated hopheads are looking for, yet finishes smooth and crisp.